Do you like rich, fruity, comforting reds? Big wines that are great for a night in accompanied by pizza and a film or fabulous with a steak dinner or a cheese-topped bake? If so, Morandé Vigno 2012 may well tick the right boxes. This is one of a group of dry-farmed, old-vine Carignan wines from Chile’s Maule Valley that go under the name Vigno. Basically it’s either completely or mainly a Carignan wine from the Maule region that meets the following rules. 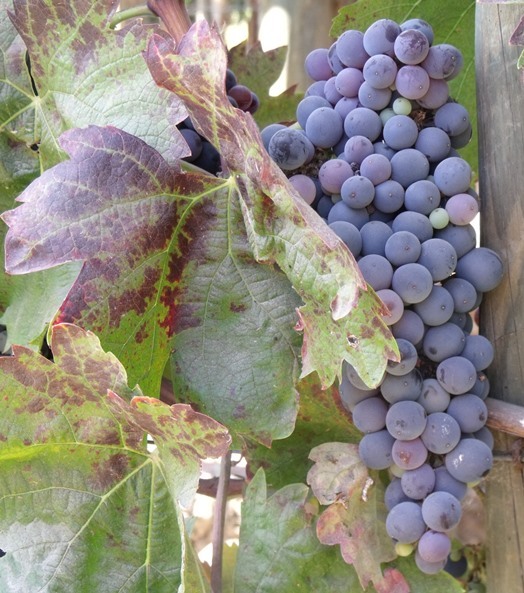 At least 65% of the grapes must be from Carignan vines that are a minimum of 30 years old, not irrigated and grown in a bush format known as gobelet, rather than trained along wires. Up to 35% of the wine can made from grapes of any other variety of grape grown in Maule, so long as the Carignan character is not lost. The wines must be aged for at least 2 years prior to release. The Vigno brand has gradually gained prestige both in Chile and around the world and now a good number of Chilean wineries have a Vigno in their portfolio. Check out this post for the full Vigno story or the official Vigno website (in Spanish). This wine is deep ruby. It has a pronounced nose with notes of red fruit, such as sour cherries, as well as blueberries and black plums, a herbal note like juniper or liquorice and some sweet spices from the oak-ageing, like vanilla, coconut and cinnamon. This is a dry, full-bodied wine with pronounced, ripe and integrated tannins, high acidity, very high alcohol (14.5%) and a relatively long finish. The mouth reveals fruit, intermingled with that herbal note and the sweet spices. A big, juicy wine perfect for wallowing at the end of a long week. This wine will be at its best with highly flavoured, fatty foods – think barbecued pork, fried steak or any dish smothered in rich melted cheese, including pizza or lasagne. I often pick a Carignan wine when I serve meat slow-cooked in a tomato or wine sauce, such as Chilean favourite Carne Mechada – click here for the recipe. Morandé Vigno 2012 was made with 78% Carignan together with contributions of 18% Syrah and 4% Chardonnay. It spent 24 months in a mixture of French and American oak barrels and foudres, which will have smoothed out and rounded the tannins and the body of the wine. 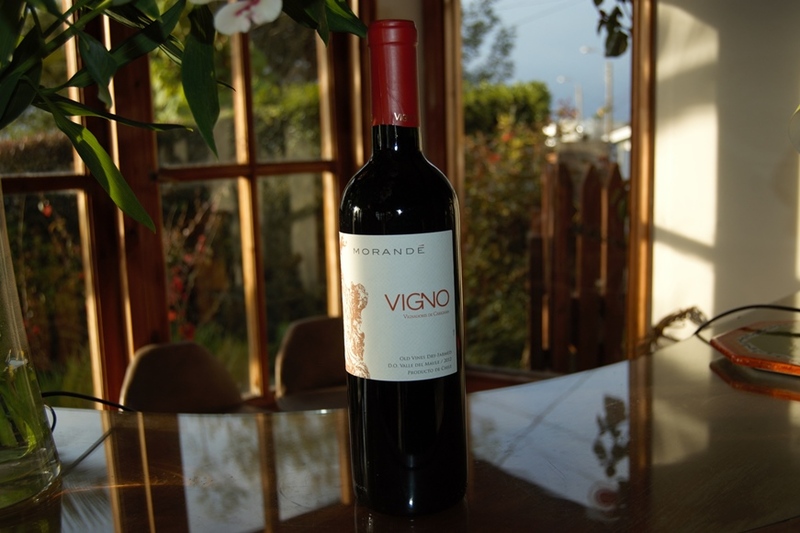 In Chile, you can buy Morandé Vigno direct from Cava Morandé or in a wide range of stores, like Jumbo. To find out stockists in other countries, contact the winery.